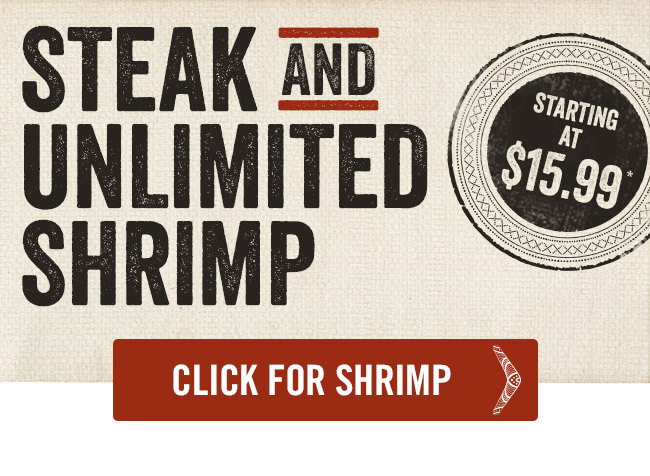 What if there was no limit to your shrimp? *Prices, product participation, and restaurant hours may vary by location. Unlimited Shrimp available for dine-in only while supplies last. By Buddy|2018-10-05T06:50:49-04:00October 5th, 2018|All|Comments Off on SHRIMP AND STEAK!! !